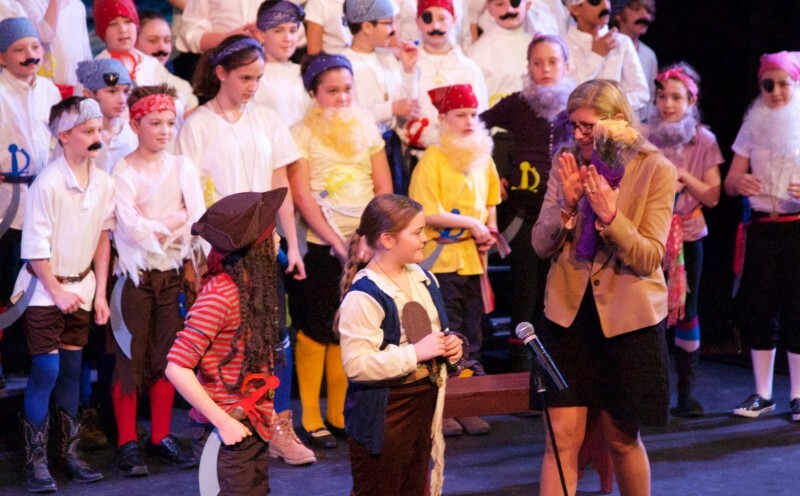 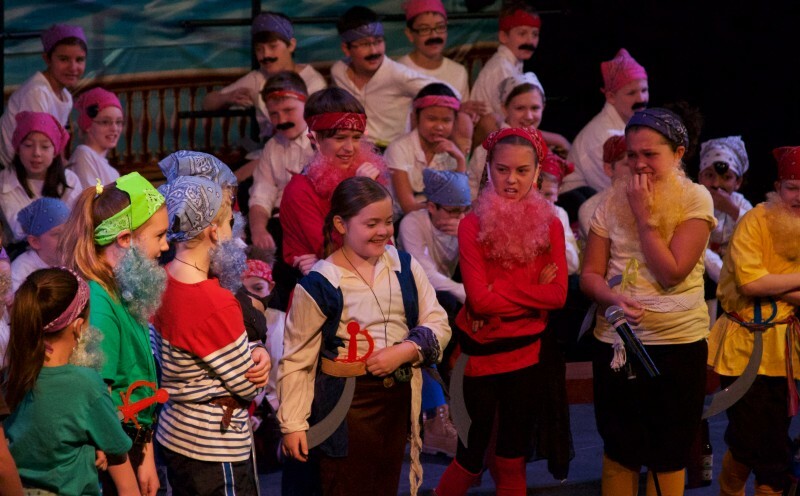 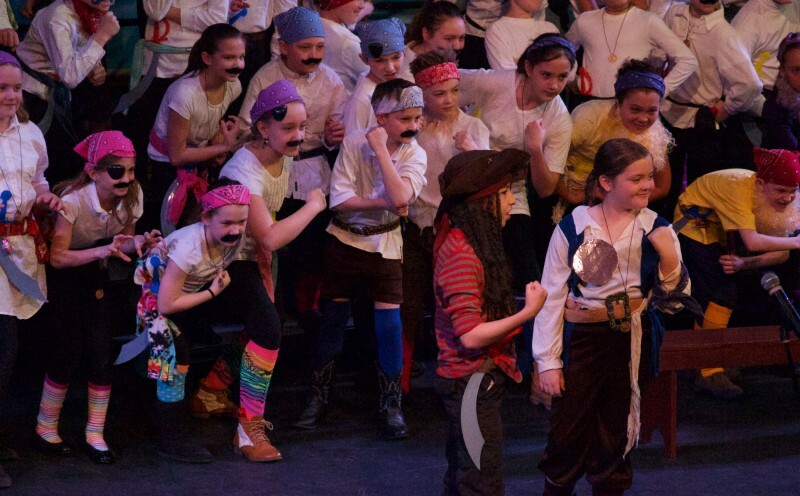 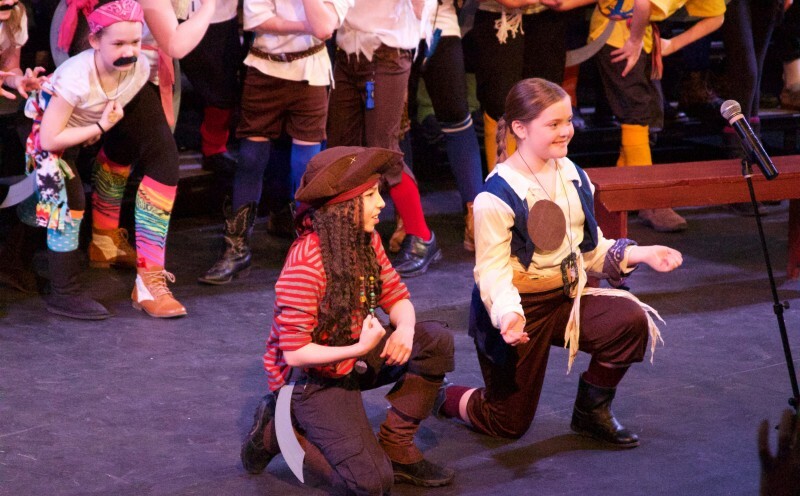 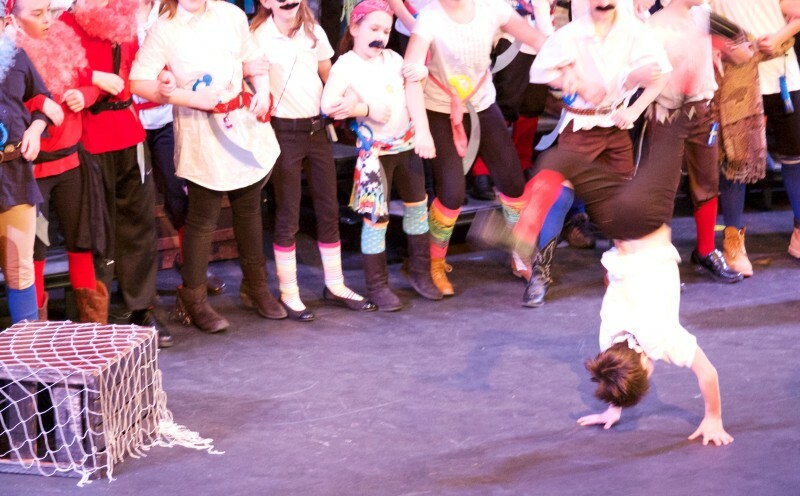 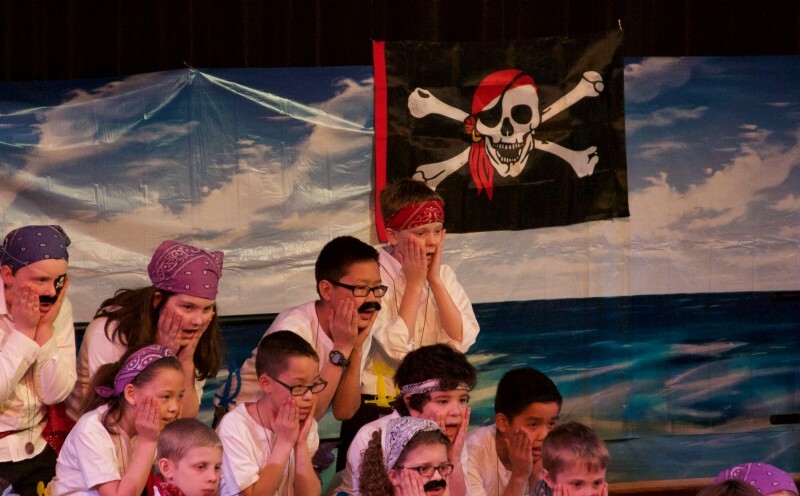 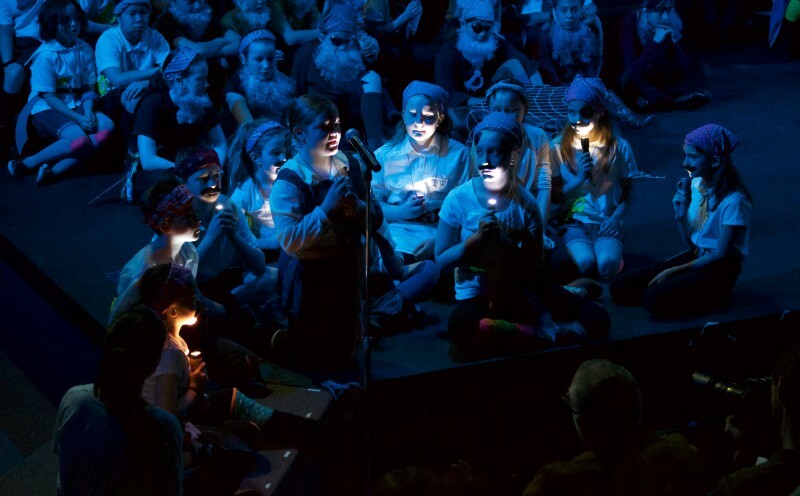 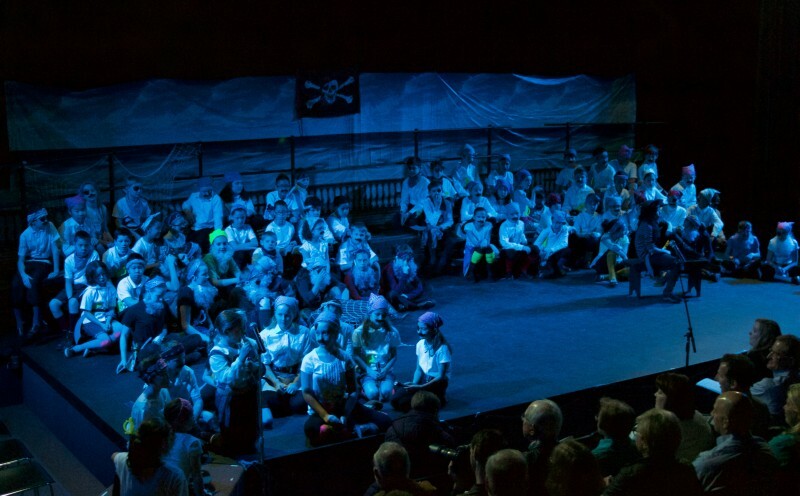 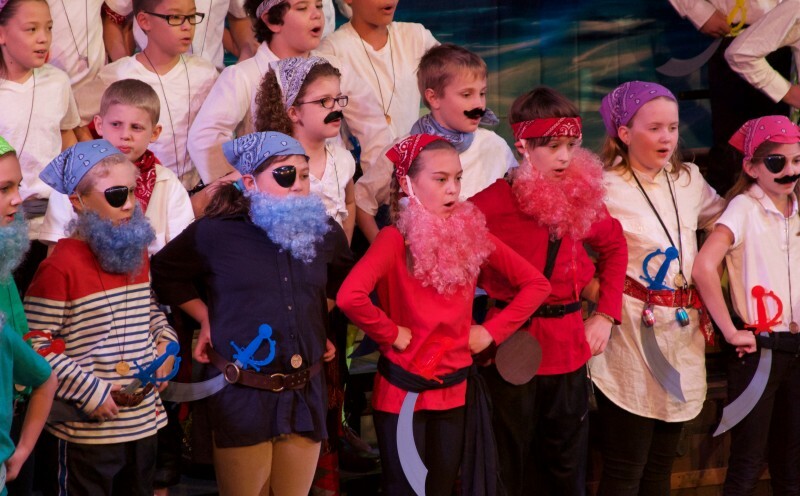 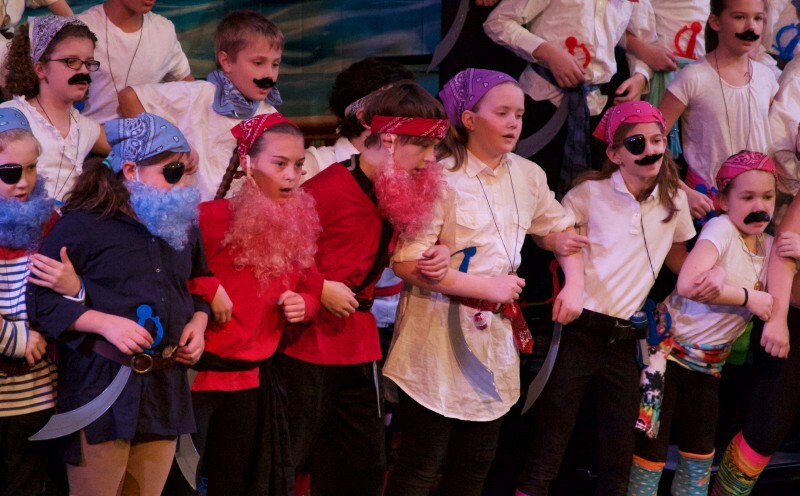 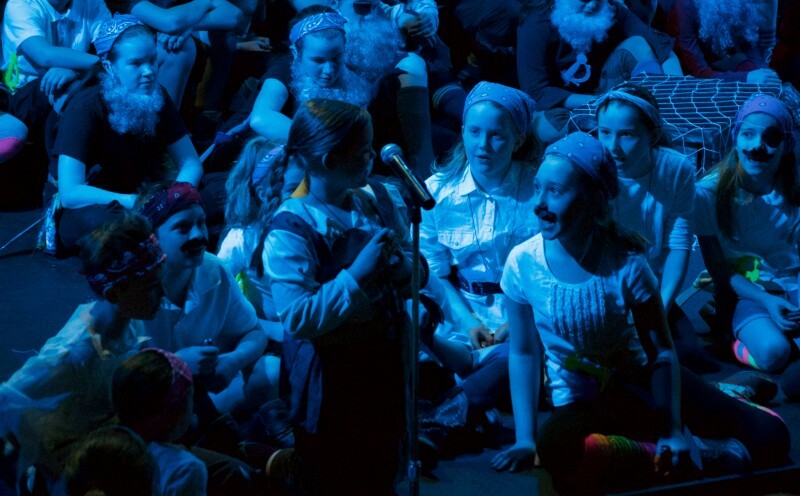 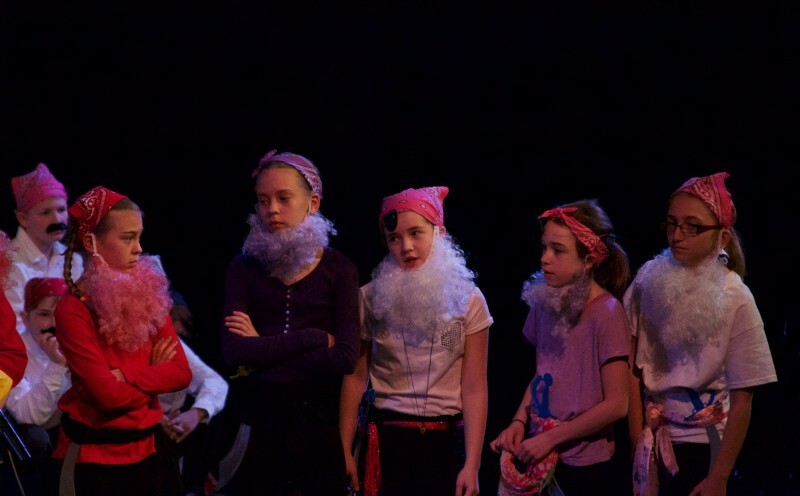 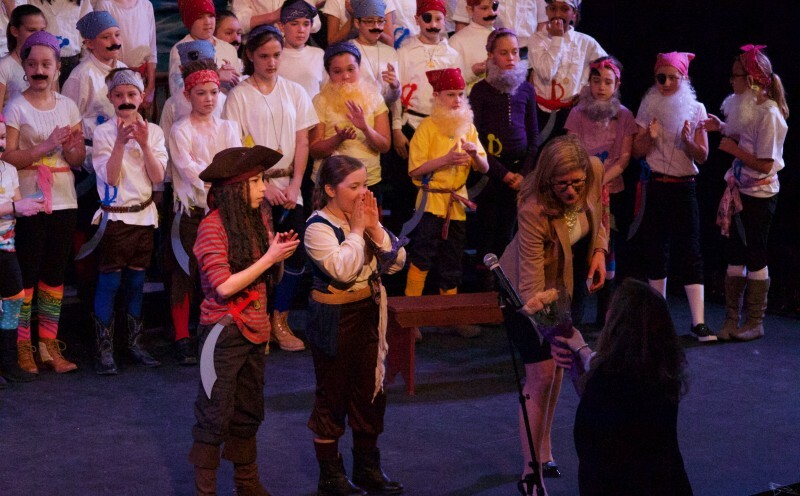 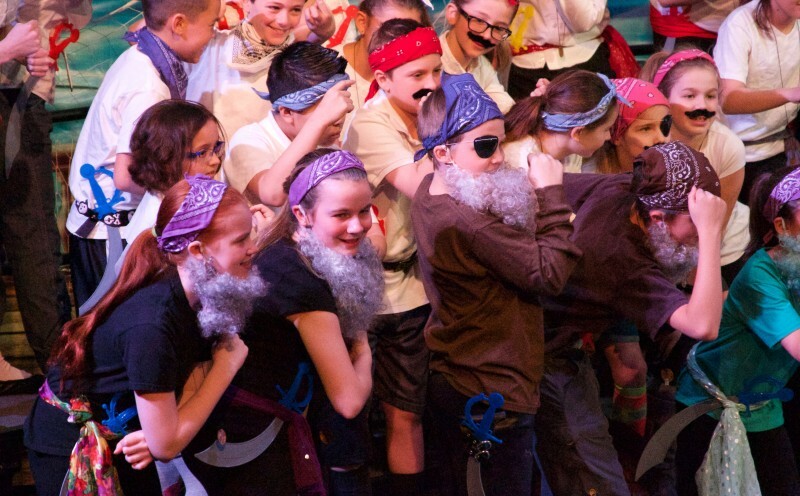 “What’s so great about doing a show like this is you get to see the kids in a different light because they’re discovering new passions and interests and putting them on display for the first time,” said Heather Woodbridge, director of the sprightly “Pirates! 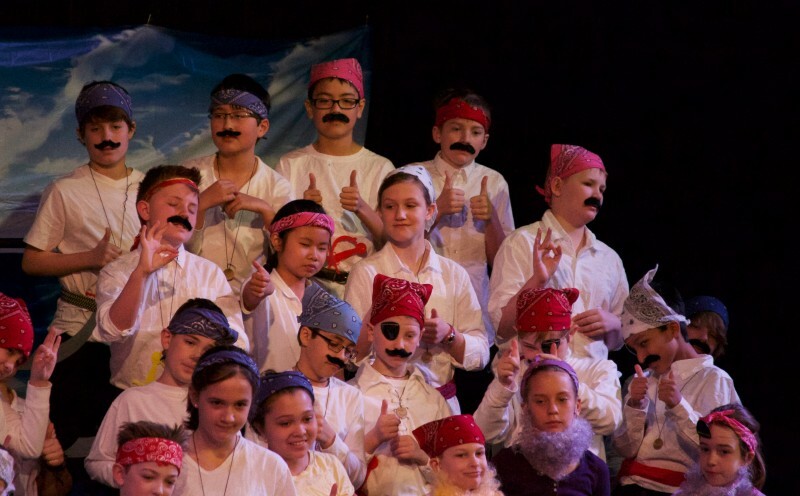 — The Musical” and its 81-member cast of the fourth and fifth grade. 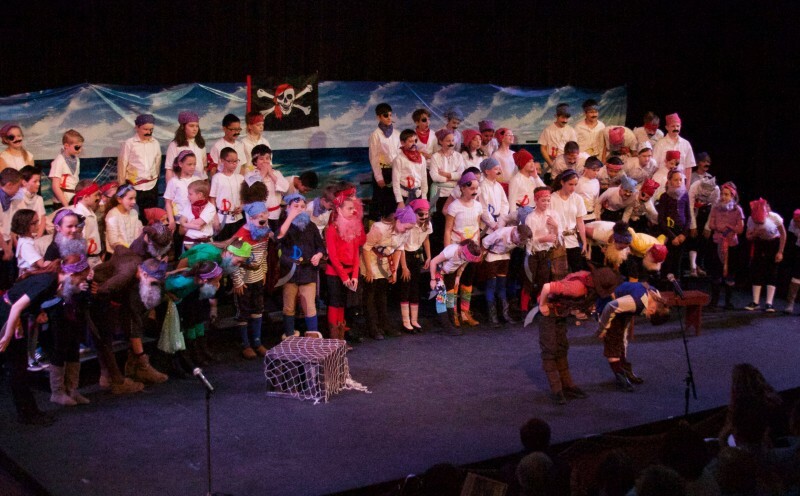 Parents packed the theater to behold a legion of costumed corsairs and festooned freebooters singing and dancing about high seas adventure and one young buccaneer’s struggle to become part of the cool pirate clique. 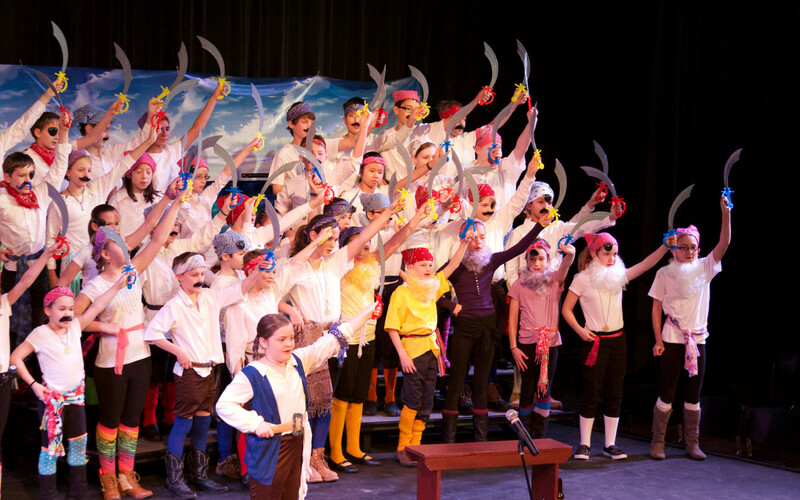 Roles ranged from chorus members to actors with lines, blocking and vocal solos.